M2 on Neil stands on the northwest corner of Neil and Church Streets, in the heart of Downtown Champaign. Started in 2007 with first occupants taking possession in 2009, the M2 project has been a significant part of the revitalization of downtown and has persevered through the global economic challenges to become a destination for business owners and residents seeking the energy of the downtown community.At its prime location, M2 is a 9-story, mixed use building featuring 27,000 square feet of Retail space, 106,700 square feet of office space, and 51 condos. M2 stands where a surface parking lot was just a decade ago. 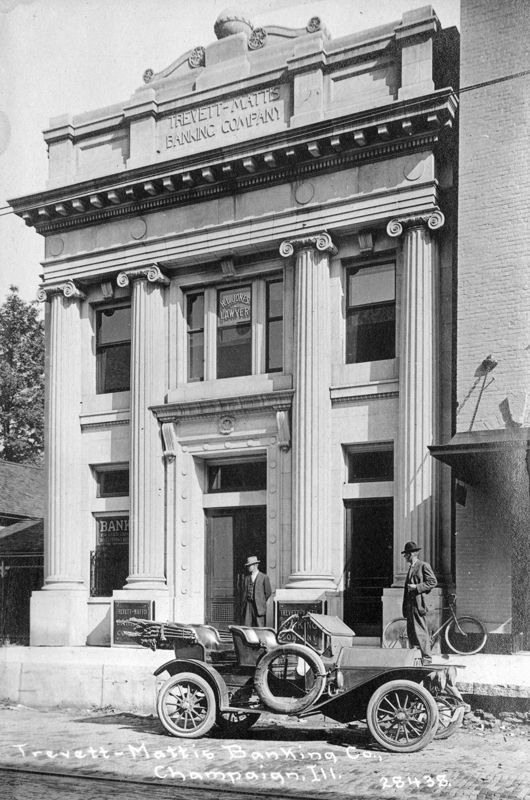 It also encompasses the restored façade of the original Trevett-Mattis Bank, originally at 112 W. Church St. on the south side of the building. This premier address offers the best of downtown with close proximity to restaurants, shops, galleries, parks, theaters and more. It is easily accessible by public transportation and is just minutes from the University of Illinois Campus, Interstate 74 and 57 and regional shopping destinations. 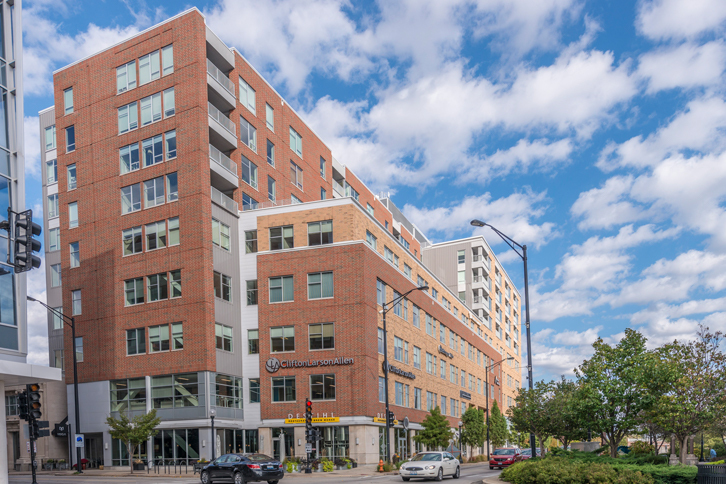 Today, M2 on Neil boasts retail tenants like Destihl, Miga, Neil St. Blues, Morton Community Bank and Ratio Architects, as well as over 80 office tenants. Visit the M2 on Neil website. 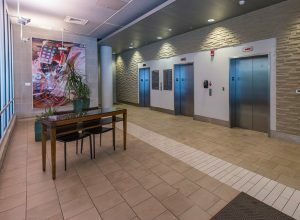 M2 features a unique Enclave of Office Suites on the 4th floor that are designed for small businesses to have Class A amenities like reception, business center, conference rooms, kitchen, mail handling and more in a shared, network-friendly environment. Offices range from singles, doubles, and triples, to larger, customizable suites. Ready to move in and get started. Get information on the Enclave and availability. Explore available office, retail and residential spaces at M2 on Neil.